AIDS Action conducts outreach and education to communities and populations most affected by HIV in the metro Boston and Lynn areas. We do this through one-on-one education sessions, street outreach, and peer based models. Positive Educators Reaching Youth (PERY) is a dynamic, interactive, and effective HIV education and awareness program for youth. PERY recruits, trains and supports HIV+ speakers to provide developmentally appropriate education and raise HIV awareness in youth. PERY speakers go to schools and community groups to talk about living with HIV, giving students a chance to hear the story of someone who has faced a variety of challenges and made the choices necessary to take control of their lives. After working with a PERY educator, students have a better understanding of HIV, reduced stigma against people living with HIV, the knowledge to limit risk-taking behaviors and make healthier choices. If you would like to schedule a PERY speaker or become one yourself contact Megara Bell at megara@partnersinsexeducation.org or 617.320.6167. Many community organizations request educational presentations and we try our best to fulfill these requests if we have staff capacity and advance notice. If we are unable to meet your request, we will work closely with you to make sure you are connected with other resources, including educational brochures and videos. Email information@fenwayhealth.org for more information. AIDS Action will also consider requests for tabling at your HIV- and health-related events. Since our staff availability is limited, we are not always able to send someone to an event, however, we can send educational materials tailored to the interests and needs of the expected participants, if scheduled in advance. 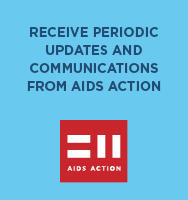 If you would like AIDS Action to provide a presentation or to table at your event, please contact us well in advance – ideally 1 month before the event. Please keep in mind that due to limited staff and resources we may not be able to fulfill all requests that come in. If we cannot fulfill your request we will try to refer you to another organization and/or send you information for your event. Please note there may be a cost associated with trainings and presentations. If you would like someone from AIDS Action to table at an upcoming event, email information@fenwayhealth.org and give us information about the event and the audience(s) you are hoping to reach.